9:00 AM, Saturday, April 6, 2019. Cloudy, a bit of drizzle, a great day to run! 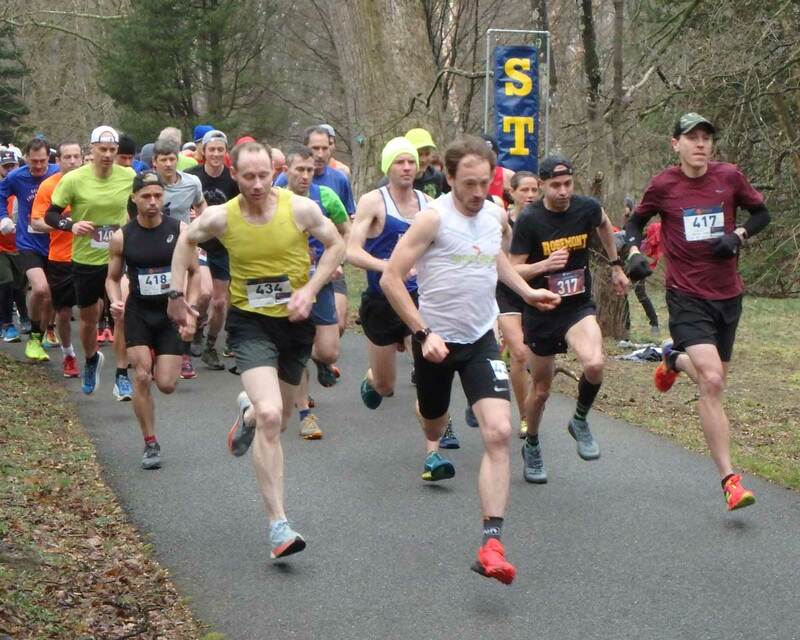 Hosted by the historic Tyler Arboretum and presented by the Delaware County Road Runners Club, the race is part of the USATF Mid-Atlantic Grand Prix Off-Road Running Series. Runners faced a flat half-mile sprint from behind the Tyler barn to the first set of hills, and then volunteer marshals and path markings guided them around the arboretum and back to the finish line. In 2019 Matt Lipsey was the top male finisher at 36:49 and Laura Lunardi was the top female at 45:22. Full results can be seen here. 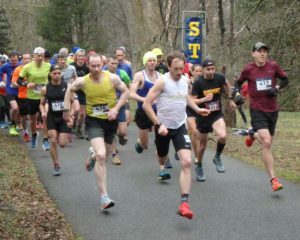 The race represented an opportunity for the Tyler Arboretum to showcase its 650 acres of beautiful gardens, fields and trees to runners and their families. A sizable portion of each registration benefits the year-round programs of the arboretum. For the runners, it was a day to compete in beautiful surroundings and socialize afterwards with friends over a hot drink and snacks.